In order to provide you with a great experience on this site we provide the functionality to set your preferences for how this site runs when you use it. In order to remember your preferences we need to set cookies so that this information can be called up whenever you interact with a page affected by your preferences. From time to time we test new features and make subtle changes to the way that the site is delivered. When we are still testing new features these cookies may be used to ensure that you receive a consistent experience on the site whilst ensuring we understand which optimizations our users appreciate the most. Several partners advertise on our behalf and affiliate tracking cookies simply allow us to see if our customers have come to the site through one of our partner sites so that we can credit them appropriately and where applicable allow our affiliate partners to provide any bonus to you for making a purchase. Hopefully that has clarified things for you. As was previously mentioned, if there is something that you aren't sure you need or not, it's usually safer to leave cookies enabled in case they do interact with one of the features you use on our site. However if you are still looking for more information then you can email us at matt@homehighschoolhelp.com. Oh, and speaking of cookies, here is a freebie of my my best cookie recipes. 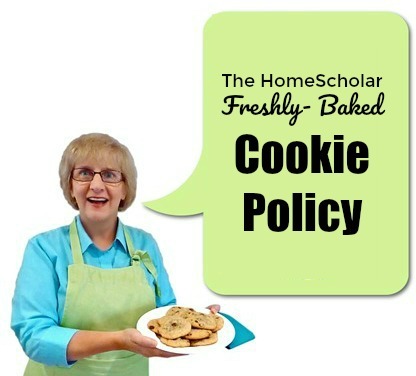 It's your reward for reading this whole policy!